We will send your book(s) within a couple of days. Try again. Contact info@sorgenfripress.se if it still does not work. Why didn’t I say something? thought Designer. But what would I have said? I don’t know how to design with birds. Designer decided to head out into the world to ask for help. Designer is tasked by Client to build Birdhouse, a visitor centre about bird migration. Designer, who is trained to “listen to all voices, no matter how tiny”, wants to involve the birds in the design process. But how? Designer ventures out into the world, looking for help. On this journey Designer encounters, among others, Abolitionist, Slaughterhousedesigner, Posthumanist, Birdwatcher, and Hunter – all offering different advice. 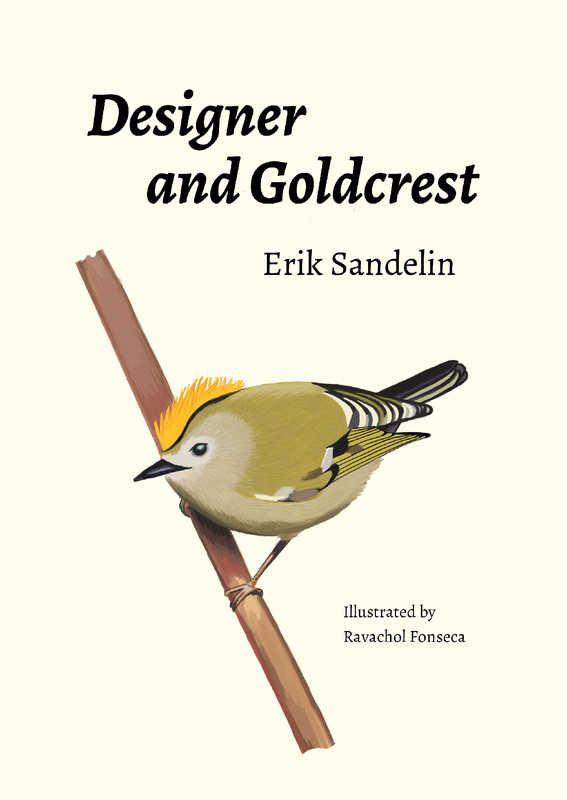 Starting from the silly-yet-profound question “What about the birds?”, Designer and Goldcrest is an accessible introduction to more-than-human perspectives on design. It consists of two parts: The Story is a richly illustrated tale of Designer’s endeavours and conversations. The Notes offers behind-the-scenes reflections and pointers for those who seek to further explore post-anthropocentric creative practices. This book is for everyone who is curious of what a human-decentered design practice could be like.